I am the director of a Functional Personal Training network in Europe. We're based in Belgium, but have Trainers also in Holland, Luxemburg and France. Everyone works on a freelance basis and we share promotion and marketing costs, plus we are stronger as a group when it comes to corporate deals or collaboration with health insurances. I've already been a Trainer for 10 years (previously in Italy and Scotland) and I have since 3 years established my training studio in Antwerp. 30.000 eur in 2006, 60.000 eur in 2007 and this year we're going strong direction 120.000 eur. Remember that this is GROSS income, so after taxes etc... it goes down to almost half. I work in the studio and at home as well, give formations and workshops and have a service of consultancy for fitness clubs. I therefore work around 60hrs / week, of which 15 of training with clients. My rates at home are 90eur/hour, in the studio 50 eur/hour. Hope this could be a reference for everyone thinking to come Europe. 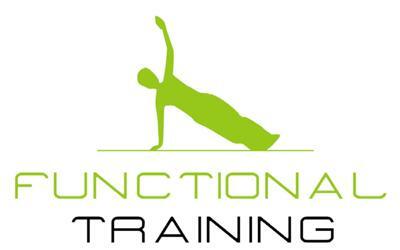 Check also my website www.functionaltraining.be or write an e-mail if you need more info. ciao max,il tuo cognome non mente..italiano giusto?io lavoro come p.t. in italia ma ho vissuto e studiato 6 mesi in florida ottenendo il diploma nsca ed npti,bellissima esperienza,gran bel mondo lavorativo...ora sono a bologna ma la vita e' lunga..chissa'..take care man! Join in and write your own page! It's easy to do. How? Simply click here to return to Personal Trainer Salary.